Any of you guys go to mud fest ? What's up people. I'm down in Houston TX, but my wife is from Bowling Green. Her parents still live there. She went up there last June to visit and I rode up there and surprised her. I really liked it up there and we want to move up there. We're hoping to move next year. Hopefully to the Columbia area or Palmyra area. Wherever I can find work. Howdy from the O'fallon, Mo area! when and where is mud fest? Hey guys, just thought I'd drop in to say hey, I live on the illinois side of st. louis; Edwardsville IL. I'm actually looking for some places to wheel but right now I need a U joint replaced, can anyone recommend a shop? 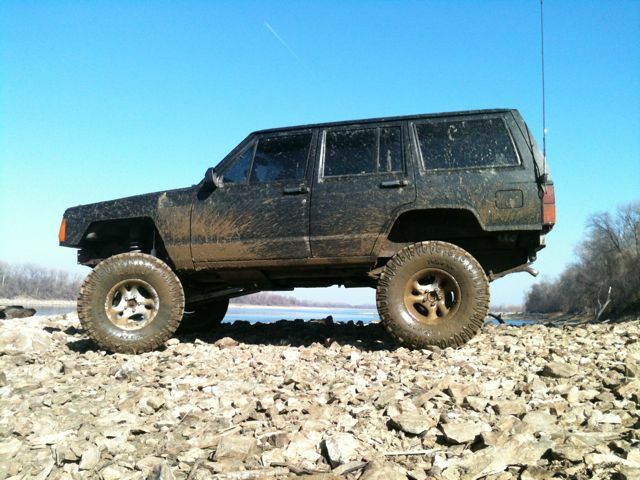 Or if anyones willing to help a fellow jeeper out I'll gladly pay you! I'm limited on tools and space since I go to school here. Show and Shine in St Charles Mo sponsored by Jeeping Mid Rivers Jeep Club. 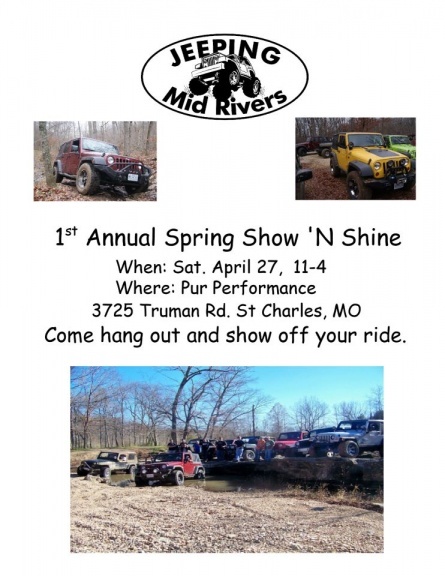 Free admission Show your ride Join club for free. All welcome! Last edited by BALLS99; 04-21-2013 at 11:25 AM. That white xj is my friend Andrew does it have a zombie sticker across the hood ?